Free zones are now present in more than 80 per cent of states in the world, including emerging countries, and comprise nearly 30 per cent of global trade. Asia region consists of the largest number of free zones in the world, followed by North America, South America and the Middle East. With a total of 160 free zones (7.3 per cent), the Middle East is the fourth largest host region in the world, with Dubai comprising of 30 per cent of the free zones. 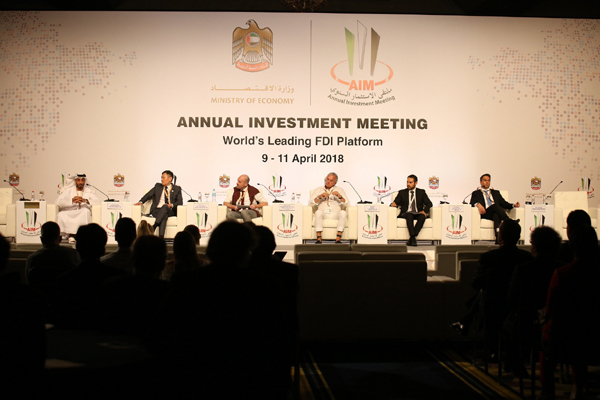 These figures testify the important role free zones play in creating a robust economy, according to organisers of Annual Investment Meeting (AIM), which is set to take place in Dubai from April 8 to 10. “Offering legislative and investment benefits, free zones around the world have evolved as competitive business models, that accelerate growth of the economy by creating job opportunities and facilitating easy and smooth trade,” he said. Offering companies benefits as low tax rates, faster procedures, ease of business, quick access to international markets, robust physical and digital infrastructure, vigilant security and seamless regulations, free zones around the world have been the key source of economic growth. With free zones driving the growth of the economy, industry experts suggest that markets as US, European Union, Middle East and North Africa (Mena), Asia and Latin America will witness a robust growth in years to come. In the UAE, in addition to the free zones, the government has introduced several measures to increase FDI. Some of the strategic initiatives introduced by the UAE include the introduction of a 10-year visa rule for specialists, 100 per cent ownership law and the creation of a government body in Abu Dhabi to drive foreign direct investment. At the upcoming Annual Investment Meeting, experts will focus on diversification and highlight the significant role of free zones in driving foreign direct investments.